Human spatial strategies are heuristics that allocate cognitive and behavioural resources for navigation tasks. These spatial strategies help the individual optimize its interactions with the surrounding space through functional trade-offs between the memory costs of planning routes and the cost involved in actually travelling that distance. These trade-offs result in visitation patterns of initial exploration of the space and subsequently determine navigation efficiency. 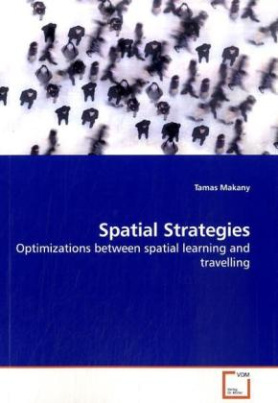 The purpose of this book is to observe, identify and describe patterns of spatial exploration, understand the trade-offs and strategy optimizations they encompass and empirically quantify their performance both in physical and abstract (i.e., virtual, computational model and informational) spaces. The results of the studies reported here offer a functional description of how humans optimize their limited cognitive and behavioural resources when interacting with their spatial environments.